The GREENinc newsletter has moved! Since the last newsletter, someone (?) posted a link on our Facebook page to an article on Inhabitat that reports on a study that claims that white (painted) roofs are better at combating climate change than green (planted) ones. The latter are more expensive (we knew that, I think), but the article concedes that over their longer life span, the additional cost of green roofs is insignificant enough that it shouldn’t influence your choice. The climate theory is that white roofs reflect sunlight, whereas dark-coloured ones absorb heat and so contribute to the urban heat island effect. The article refers to another study at Stanford University that suggests that although white roofs result in a cooler lower atmosphere, they also decrease the temperature difference half a mile up, and this might decrease cloud formation which would mean more sun getting to the earth and a net heating effect. So, green or white, then? The author can’t say, but does point to the additional storm water control benefits of the green, so whichever you prefer, as long as it isn’t a dark painted roof. The next thing that got someone excited enough to post something was that Freedom Park was featured on Landezine. You may not get it, but this is very exciting! Check out the article. Then, just yesterday James posted a link to an article on 7 record-setting streets, and I must agree with him, the nested turning circles in Swindon (the worlds most confusing intersection) are the funniest. They must also be the most dangerous – confusion at an intersection is never a good thing. Facebook sent me a note a few weeks back saying that in future it will name anyone who posts on behalf of GREENinc. I haven’t seen that happen yet, but I am looking forward to being able to tell who posts what. Four days after I posted the last newsletter, our beloved Madiba passed away. What an emotional and exhausing last two weeks of 2013 those were. During a quiet and philosophical builders’ break, the facebook page saw two quotes relating the place-making. The first, from Fred Kent : “If you plan cities for cars and traffic, you get cars and traffic. If you plan for people and places, you get people and places.” Profound, no? The next quotation was from Jan Gehl : “Cultures and climates differ all over the world, but people are the same. They’ll gather in public if you give them a good place to do it.” Both admirably illustrated by the most recent post, a link to an article on recent road transformations in New York City. Use the sliders in the middle of the images to get the full effect! James spotted some of our work while browsing in Exclusive Books in Nelspruit – yes, GREENinckers holiday in exotic locations. “New Landscapes 2 : Commercial and Public Landscape” features articles on Forum Homini and the Environmental Education and Research Centre at the Johannesburg Botanic Gardens, and “New Landscapes 3 : Leisure and Tourism Landscape” includes Freedom Park and the Sharpeville Memorial. 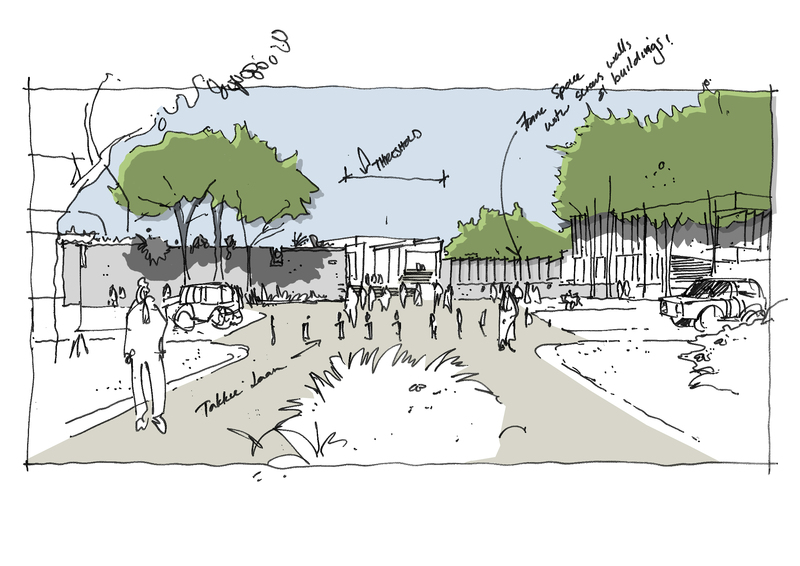 Freedom Park also featured in “Open Space – Urban Public Landscape Design”. There is also a link to a “kinetic drawing” video clip featuring artist Heather Hansen. We have been fortunate to have eager new faces in the office, as Abby and Mikael joined us for some vac work; they went back to school today, and we know they will do really well this year. Also, Wouter joined us at the beginning of the year to fill Elize’s shoes, she has taken a job closer to home, and we wish her all the best in her career. And to everyone, all the best for 2014! So November is over and so, pretty much, is 2013. The installation at Bank City for FNB was one of the most exciting things we did this year, and it’s still getting posts. It also featured on the cover of the November issue of Real Estate magazine. Staying urban, early last month I attended the Transformative Urban Regeneration Conference, which was hosted by the African Centre for Cities and the City of Ekurhuleni. There were some really engaging international speakers (three of whom are South American, one Dutch and one Indian) complemented by equally fascinating local ones. When talking to them privately, all of the foreign speakers were most struck by our boundary walls here in Jozi – even more so than the weather! Obviously, this is partly a response to the crime levels we experience here, but it seems that they are also symbolic of our society’s predilection for private space over public. And it’s not only in the previously-privileged suburbs, either, the walls are ubiquitous in the more sociable “townships”, too. There is one going up in front of the building accross the road from our office as I write this, to replace the wall that was taken down by the previous owners some years ago. Luckily, we don’t have a wall in front of our office, so traffic could be diverted through our driveway when a brick truck for said building site blocked off Sixth Street last week. 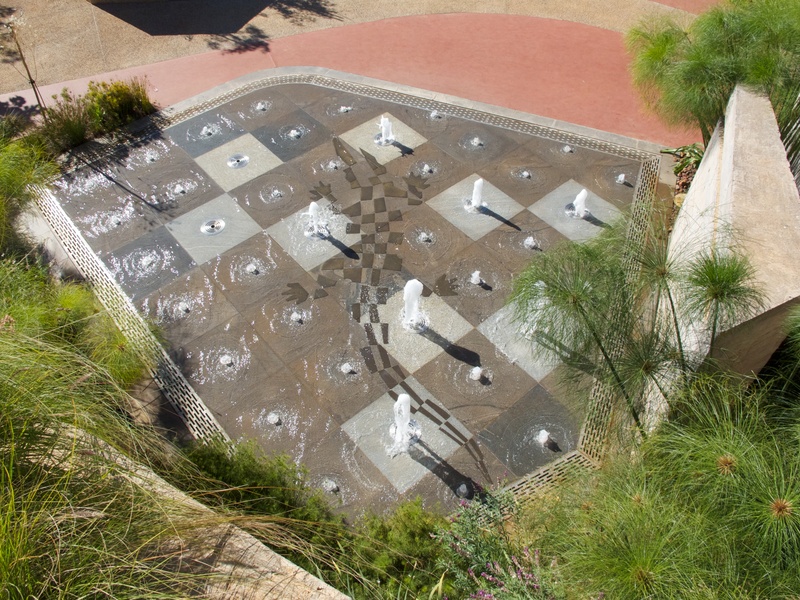 Andrew sent me an abstract on a conference on European squares held a decade ago, and it drove home the fact that an outdoor public place has formed the heart of every European town for hundreds – if not thousands – of years. We might not have that kind of heritage, but surely we still need places we can come out from behind our walls to socialize in public in, and we don’t have enough of them. We should break down as many of the walls that we can, too, like the Goethe Institute here in Joburg did a while ago. Anyway, I’ve digressed, but it was a fantastic conference and I think I will try to tell you more about it in a special newsletter. The Botswana Innovation Hub was another of our big projects this year, and our friends from SHoP Architects came to visit us here in Joburg. We posted some new renderings of the Innovation Hub, as well as a presentation on the “cycle of mediocrity” by Gregg Pasquarelli of SHoP. We also posted an article on how great it is here in Jozi ahead of their visit, just so they wouldn’t wish they were rather visiting Cape Town. We also posted new renderings of the Agrivaal building – one of them appears at the top of this article. Here’s the other one. 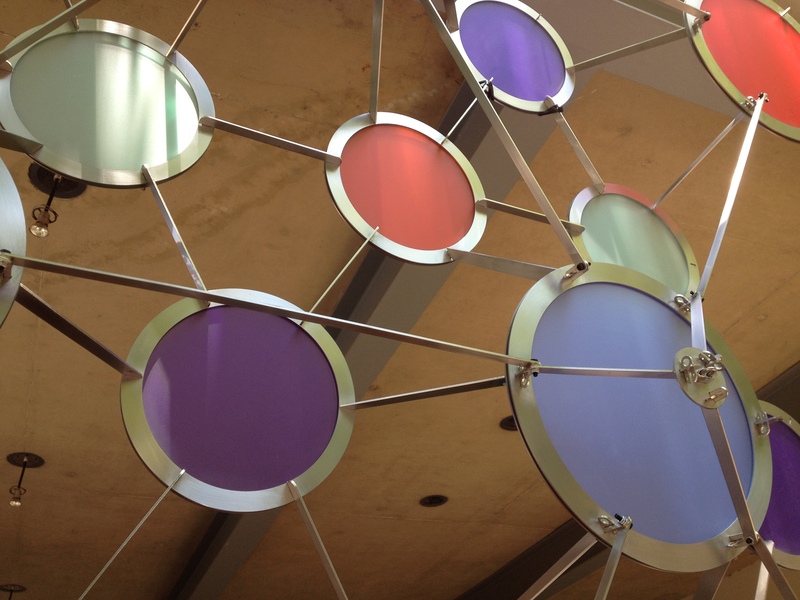 And someone posted a video of the Wind Portal by Ned Kahn at the San Francisco Airport – look at his other work, too. Finally, we posted an article on boxes in museum design and asked our friends to share their favourite box project. We got two suggestions : the Flederhaus in Vienna and the Zeitz Museum of Contemporary Art in Cape Town. We added the Olivetti store by Carlo Scarpa in the Piazza San Marco in Venice. We are here for another two weeks, but as this is the last scheduled newsletter for 2013, I will use it to say thank-you for your support in 2013, have a great year-end break (I hope you’re taking one!) and all the best for 2014. 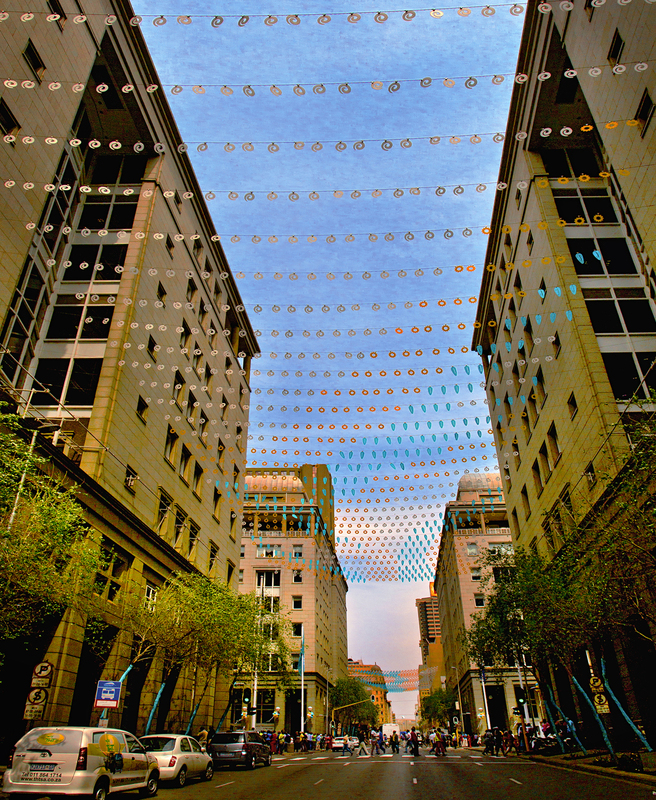 Brian McKechnie mentioned our FNB project in a recent TED talk that he gave on how Joburg is like Kate Moss. And Anton posted three interesting photos : a screen-shot of a molecular structure, me and Elize and some stainless steel rings, and a mystery pair of legs with some bits of the structure on a lovely old carpet. It seems like it was all part of some kind of teaser campaign (he didn’t tag the legs) and one person’s interest was piqued. Hopefully this project will make a supermodel of the building it’s intended for, too. I posted a link to an Archdaily report on the Sagrada Familia because two people told me how wonderful it is looking, one of them being Lewis Levin, whose carpet it is. James and Annamari both posted pics of Santa’s Shoebox project presents in the office, and I posted a link to an article on how edible insects are going to transform our diets. I’m not sure why I posted this, really, but if it’s true I suppose we should know about it. The photo did look tasty. The packaging has a clean look to it and there are no legs or feelers in sight. Yuchh, sorry. Then we got excited about railway yards being transformed into parks. The idea of decking over the shunting yards in Joburg pops up its head periodically, so hopefully it will happen eventually. But going ahead is a new central park for Valencia, Spain designed by Gustafson Porter in collaboration with Borgos Pieper. And the Park am Gleisdreieck in Berlin was completed in 2011. Anton posted an article that looks at the additional role of mitigating climate risk that landscape architects should start to play and an interesting project on a Hong Kong public stairway called the Cascade Project. In terms of our own work, there were several new images of our Two Rivers project in Kenya and some of the southern amenity garden at the Botswana Innovation Hub. On 19 September, James went back to Bank City to see the event that all the work was in preparation for – FNB’s 175th birthday celebrations. He posted some photos of the space properly occupied! A client representative said to him that it wouldn’t be a good day to take photos because there’d be too many people to see the landscape properly, but we love photos of our spaces being used to their full potential. Elize posted a video of the stompstone song, I think she may be considering specifying some of the chime tiles featured. On the other hand, looking at her comment, maybe not! Still, they are an interesting landscape element and look like they take some skill to play. But yes, the practice sessions must be hell! Also on a musical note, James posted a link to an article on an inflatable concert hall. It looks like it works on the same principles as a jumping castle, but one that you can actually go inside. Elize also posted some pics of a tyre park in Tokyo. It has tyre swings of course, but there’s much more, all made from tyres. The sculptures are especially cool! And Annamari posted a curvy, boxy, forward-thinking retro house in Hollywood Hills with a LEED silver rating. A week ago on Saturday, GREENinc was awarded its 8th (I was battling to spell eightth there, so went for the shorter version) ILASA Award of Excellence for its role on Freedom Park’s second phase. James was in charge of the excellent awards function at the Rand Club. Did you know, they let women in now? Welcome back, James, time for some landscape architecture. He didn’t have anything to do with the judging, he says. The canopies and outdoor lounges at Bank City that I wrote about last month are complete. If only all our projects happened so quickly! Lots of in-progress photos went up on the facebook site in the last month. One of the photos has been seen by 1,774 people to date, our record for a post so far. Click here to see it. Also see the video clip of one of the canopies dancing in the wind. They give a really festive welcome into the CBD from the north. Congrats to Anton and the whole team! 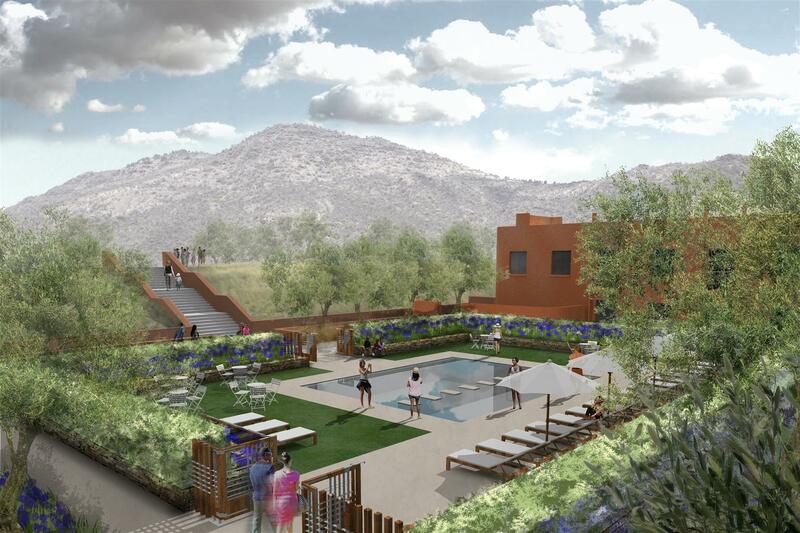 Also have a look at the pool areas of the apartments being built on the Houghton golf course. Andrew has dedicated a significant chunk of his life to these spaces, and it shows in the detailing. There is also a link to the website of Candy Chang, who is “an artist who is passionate about the ways our public spaces can help us make sense of our communities and ourselves.” And James shared an article about putting a green roof on a bus. Why not?